Cameron Pegg (@ghostwhowrites) is executive officer for the deputy vice chancellor and provost at Griffith University in Queensland, Australia. Not too long ago, if someone asked about your alumni magazine’s distribution strategy, you’d point to a mailing database and that would be the end of the conversation. 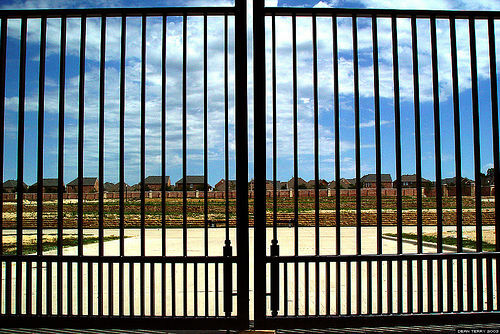 That was when alumni magazines resembled gated communities—the only people allowed in were those on your subscription lists. These days, many institutions produce online and mobile magazines that provide unprecedented opportunities to engage with a global audience and unlock the gates. But simply placing everything online or on an app won’t engage your stakeholders. The right social strategy can help your print magazine do its job year-round and not just in the short window after it arrives in mailboxes. The following case studies show how some universities are using social media to extend and enhance the reach of their magazines. Harvard Magazine’s Facebook page gets things right—it posts daily, almost always links back to its own content and provides a simple sign-up form for the magazine’s weekly e-news to grow the readership even further. edition produced in July, the magazine offered deep coverage of the issue, including a Storify-esque round up of coverage that included substantial critical commentary. The extraordinary fall 2012 print edition subtitled “17 days in June” provides dozens of additional pages of coverage and contains illustrated timelines and lengthy perspectives from the major players, including President Sullivan. This multi-platform approach provided alumni with complementary and timely coverage of a defining event in the university’s history. It’s well known that images attract special attention online. Indiana University Bloomington and the University of Florida regularly post Instagram campus shots that encourage students and alumni to share their warm and fuzzy feelings with their university communities. 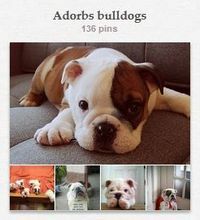 Drake University, meanwhile, is all over Pinterest, with more than 100 pins inspired by its loveable bulldog mascot. Whether deployed on a photo-specific platform or shared via Twitter or Facebook, images are a great way to build school pride and encourage alumni to contribute to the conversation. If resources allow, create dedicated social media accounts for your alumni magazine, starting with Facebook, Twitter and YouTube. If this isn’t feasible, work with colleagues who oversee the institutional accounts to promote your content. Use social media to share stories and invite readers to provide feedback and participate (e.g., via polls and surveys). Use a feature in the print magazine to encourage crowdsourced content, such as images or thoughts around a specific topic or event. Place social media share buttons prominently at the top of online stories. Avoid drop-down menus that force readers to search for their preferred platform. Make an effort to encourage comments on online articles. Provide prompts in the print edition and respond to comments as they’re posted. Bostonia’s “Q&A” approach is a good example of how to do it. Use YouTube or Vimeo to host your magazine’s video content. Using in-house players renders your videos invisible and unable to be shared easily. Cross-promotion is vital. Include relevant social media buttons and icons in your print magazine’s production credits and include calls-to-action at the bottom of relevant stories. products, like Hootsuite, even have an auto-scheduling function (although you should experiment before using). Successful alumni magazine Facebook pages embrace external content in addition to their own–linking to positive stories that will resonate with readers and promote viral activity. In the spirit of sharing, how are you using social media to increase the lifespan of your alumni magazine?